Before back-to-school season, take a relaxing and memorable Bahamas vacation! 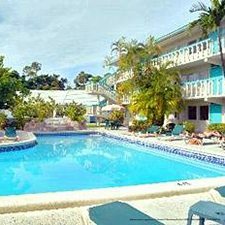 Stay at the Island Palms Resort in a spacious 1 bedroom villa for 7 days and 6 nights for only $209, the price of a cheap hotel! This amazing back-to-school deal also comes with a free $100 Dining Dough gift card for use in the United States! The end of the summer season is the best time to visit the Bahamas, after the crowds have died down! You can enjoy yoga classes on the beach with fewer people, enjoy prompt service in the spas and restaurants, and shop for the hottest summer styles at reduced prices! The Island Palms Resort offers spacious accommodations and bountiful amenities all with a beautiful location on the beach! Take advantage of convenient transportation from the airport, and rent a car right on site! Challenge each other on the tennis and shuffleboard courts, or relax in the beautiful outdoor pool or with a cool drink at the bar. Your 1 bedroom villa has wireless high-speed Internet access, flat screen TV with cable and DVD player, full kitchen, balcony, and sofa bed for your comfort and convenience! The Bahamas is one of the best vacation destinations in the world, with soft, powdery white sand, and calm, turquoise water making up some of the best beaches in the world! You can swim, jet ski, kayak, paddleboard, and enjoy luxurious catamaran and yacht cruises over the pristine waters. There’s as much to see under the water as there is above, with the best snorkeling and scuba diving in the world courtesy of the crystal-clear water and the vibrant wildlife of the Great Mesoamerican Reef. Enjoy a state of deep relaxation in numerous indoor and outdoor spas, offering massages, facials, scrubs, wraps, herbal baths and more for individuals and couples, or invigorate your senses and improve your health with saunas, steam rooms, and yoga and Pilates on the beach!